With experienced local lawn mowing professionals, Grub's Lawn Care has several Omaha Lawn mowing locations to provide you with expert local lawn mowing services in Omaha, NE. Providing Omaha lawn mowing services, weed eating and blowing our Omaha lawn mowing experts help create a yard that's not only picture perfect but healthy and prosperous. 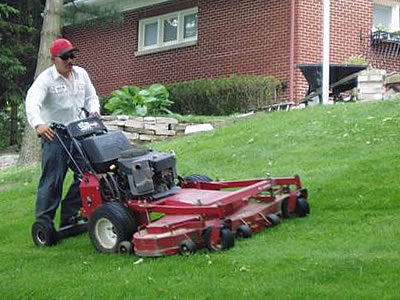 And our Omaha lawn mowing services are an investment that keeps your lawn looking healthy and beautifully maintained. your lawn will get the attention it deserves. Your lawn will be cared for only by Grub's Lawn Care professionals. Our field staff undergoes rigorous training and certification before we ever let them step foot on your property. Not only can we do a complete landscaping project. But we maintain your lawn and develop a customized program for your budget. Only Grub's Lawn Care keeps your lawn looking it's best all season long. Don't leave your lawn to someone who just mows it and moves on. Instead, rely on Grub's Lawn Care to handle all the messy work for your lawn all season long, carefully evaluating our work progress during every visit and adjusting your customized program as needed. If you have an unexpected problem between your scheduled visits, we'll take care of it FREE within 48 hours. At Grub's Lawn Care, we take personal responsibility for your lawns beauty every step of the way. 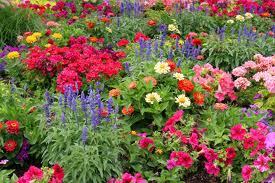 Grub's Lawn Care provides premiere landscaping and flower gardening services. Let us help beautify your lawn and yard!